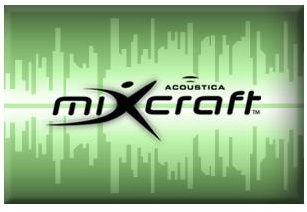 Mixcraft is a budget DAW program from Acoustica that can be used in your home studio to create and produce music. 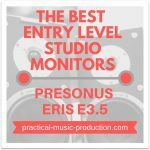 It’s won many awards over the last few years that reflects its position as one of the best DAW packages available for new starters in the world of music production. Acoustica like to emphasize the program’s speed and efficiency when it comes to recording and producing. There are several features that help bring about this accelerated workflow – a couple of examples are the integrated guitar tuner found in each guitar track, as well as the searchable library of loops where you can quickly find the sounds you’re after. 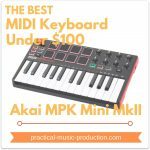 It also contains ReWire support, so you’re able to use Reason, Native Instruments’ Massive, and Ableton Live with the program. There’s a wide range of VST instruments, ranging from synthesizers to drums to orchestral instruments, as well as support for third-party VST plugins. One feature that doesn’t appear in many other DAW programs is video editing. But Mixcraft contains basic video editing functions that also allow you to add images and text to your video files. You can also automate over 20 video effects plugins as well. This great tool makes it even easier to write and produce music for your own videos or your own edits of pre-existing videos. For me, one of the best parts of Mixcraft is the way you can use the thousands of loops included in the program’s loop library. When you import a loop by dragging it into one of your tracks, it automatically changes to match the overall tempo and key of your project. It’s another great part of the software that helps to move your production ideas forward as smoothly as possible. Another great feature is the ability to create and save chains of processors and effects. The program has the usual choice of software devices – including compressors, delays, and reverbs and everything in between. Building your own unique custom effects chains can help you to create your own identity as a producer. There are also a few guitar amp and synth emulators as well included with the program. The synths include classic vintage models like the MiniMoog and the Prophet 5. There are a few different versions of the program available, each offering a set of features that will suit different levels of experience and skill level. 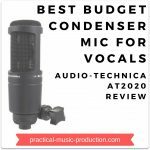 There is also a Vocal Studio version available that includes the MVS USB condenser microphone as part of the package. 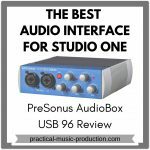 If you’re looking to dip a toe into the world of home recording and music production but you don’t want to spend a lot of money, then I think this DAW is a great way to get started. GarageBand has already cornered the market for low-budget DAW programs on the Mac platform, but Windows now has a few possible packages to choose from – Mixcraft (the link takes you to the official site), Reaper, and Sonar amongst them.